March 29, 1925: Frances’s (Judy’s) debut as a solo performer, on the stage of her father’s theater, The New Grand Theater, in Grand Rapids, Minnesota. She was two-and-three-quarters years old. 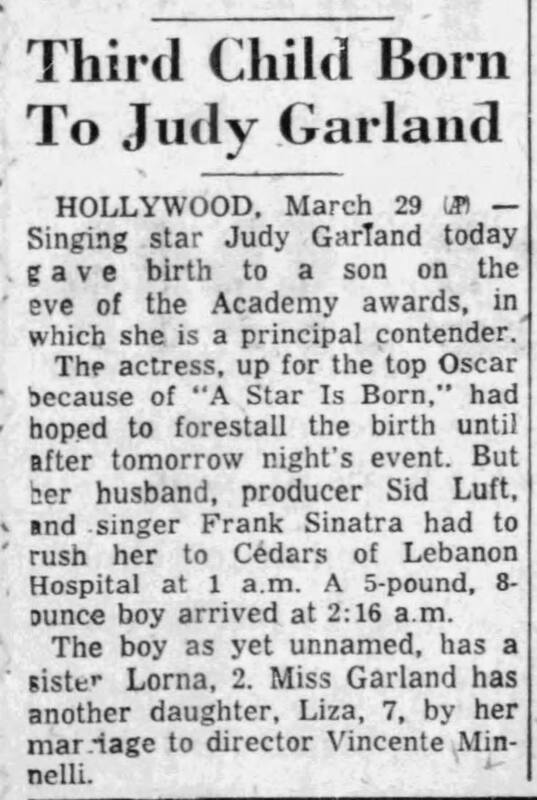 March 29, 1935: Judy entered the Decca Records studios in Los Angeles, CA for the very first time. She and her sisters (as “The Garland Sisters”) were there to record test records for a possible contract with the label. Mom Ethel Gumm played the piano. 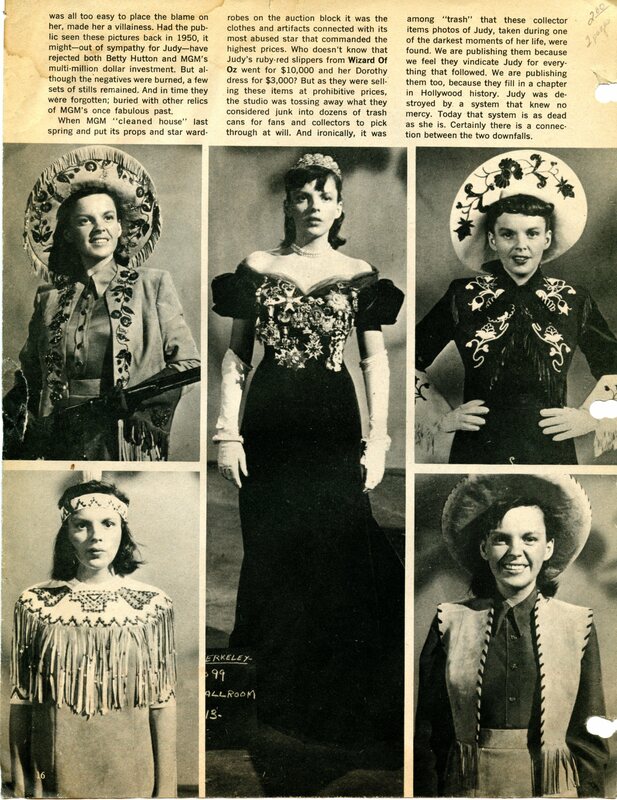 The sisters recorded “Moonglow” and Judy soloed on “Bill” and a medley of “On The Good Ship Lollipop”/”The Object of My Affection”/”Dinah.” These are the very first studio recordings ever made of Judy Garland singing. She was 13-year-old at the time. A contract never materialized and the tests were rejected. 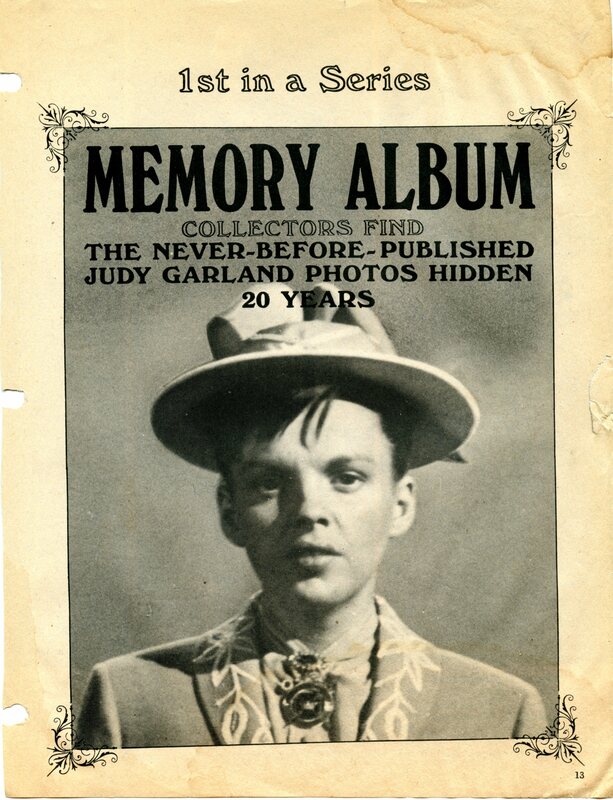 The records were thought to be lost forever until 2004 when a woman contacted me via The Judy Room and said that she thought she had copies of the two Judy solos. She was right! The basic story is: In 1960 she and her mother accompanied her uncle on a trip to the recently vacated Garland home to clear out what was left behind (the uncle was in the clean-up business). He thought the kids would enjoy seeing the home. They retrieved the two records and a few other items from the junk pile that was targeted for the city dump. The items (including the two records) then sat in her mother’s home until her passing in the early 2000s. The records were given to the girl, now grown up, as a keepsake of the memory of that happy day. She did some online research which led her to The Judy Room. After both MCA (now owners of the Decca catalog) and Universal passed on doing anything with the records, they went up for auction. Due to outside circumstances, the records didn’t meet the reserve price and went back to her. Finally, in 2010 the records were remastered and included in the “Lost Tracks” set. Sadly, the trio’s recording of “Moonglow” was not with the two Judy solos and remains a lost recording. These two records are incredible, as they give us a chance to hear the voice that thrilled MGM into signing Judy before she was polished under the tutelage of Roger Edens. It’s all there, the raw talent at such a young age is incredible. Say what you want about Judy’s mom, Ethel Gumm, but professionally she had her daughter on the right track. 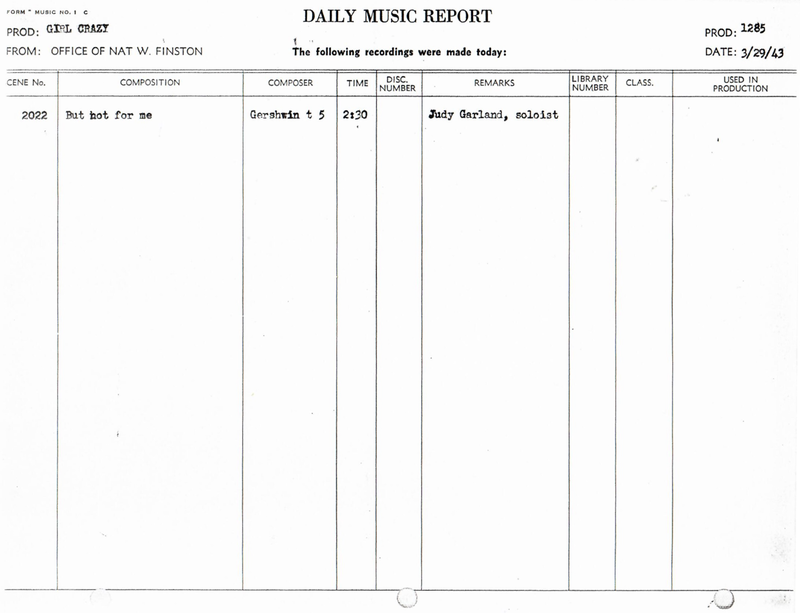 Read more about the story of the “Lost Decca Tests” here. March 29, 1938: The final leg of Judy’s extensive Everybody Sing tour which began in Miami and would end in her hometown of Grand Rapids, Minnesota. 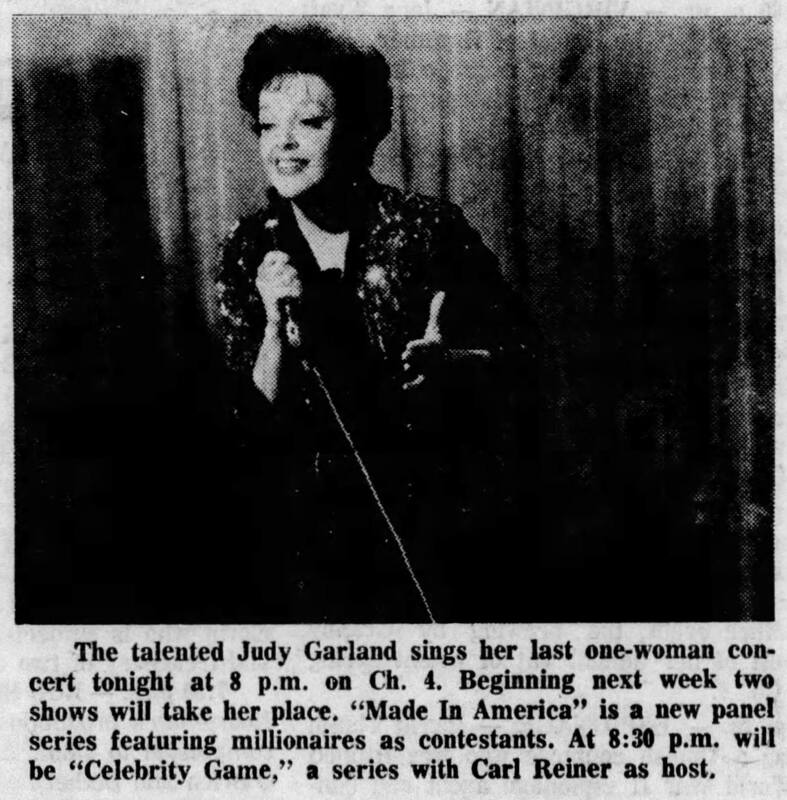 This notice from the Minneapolis Star Tribune newspaper reports that Judy traveled through Minneapolis from Chicago on her way to Grand Rapids. Judy, her mom, and Roger Edens took the Hiawatha train from Chicago to Minneapolis on March 30th. The train trip took 7 hours, necessitating an overnight stay in Minneapolis. A subsequent notice reported that although Judy’s didn’t make any personal appearances during her one night stay in in the city, she did meet with fans outside of her hotel. Judy traveled to Grand Rapids on the morning of April 1, 1938. March 29, 1943: MGM recording session for Girl Crazy. Judy pre-recorded “But Not For Me” which is one of her best on-screen ballads. 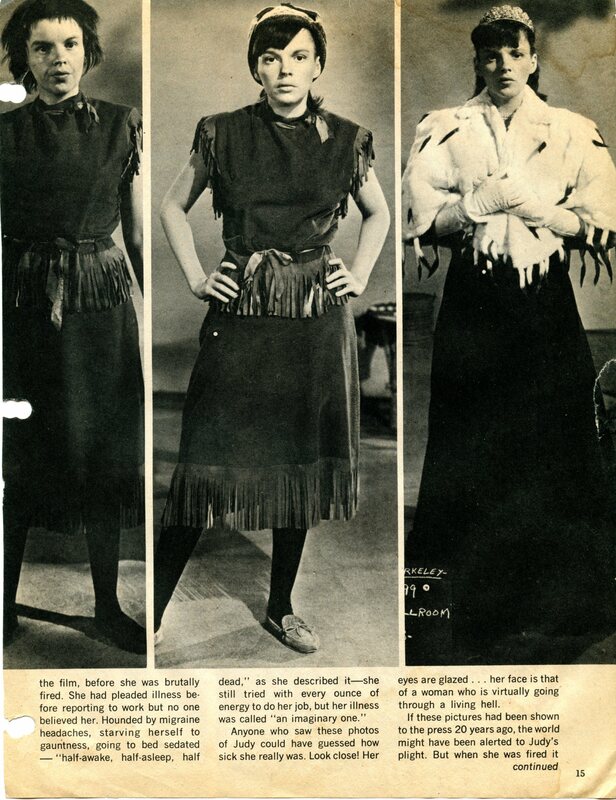 Judy also had some wardrobe tests for the film. Time called: 11 a.m.; dismissed: 3:30 p.m. Check out The Judy Room’s Filmography Pages about Girl Crazy here. 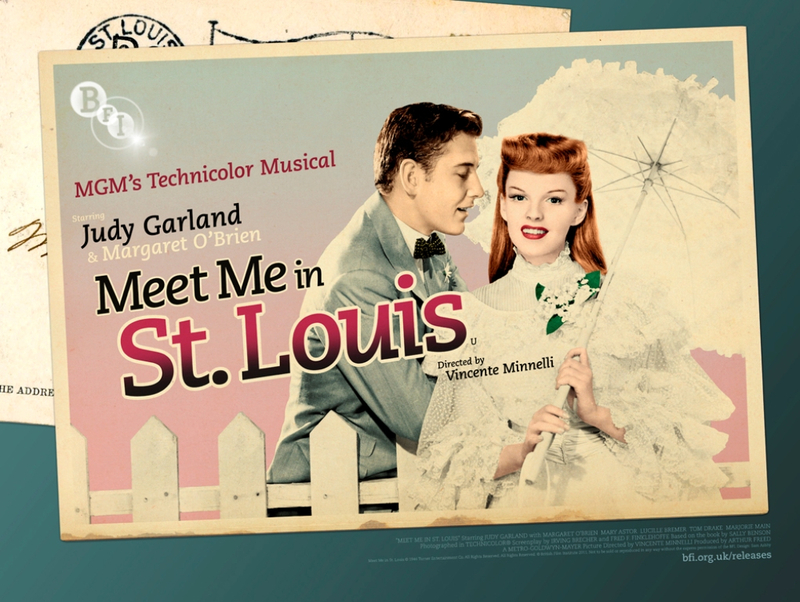 March 29, 1944: Meet Me In St. Louis continued filming on the “Interior Living Room” and Interior Hall/Stairs” sets. Time called: 3:30 p.m.; dismissed: 5:50 p.m.
Photo: 2011 British Film Institute poster. 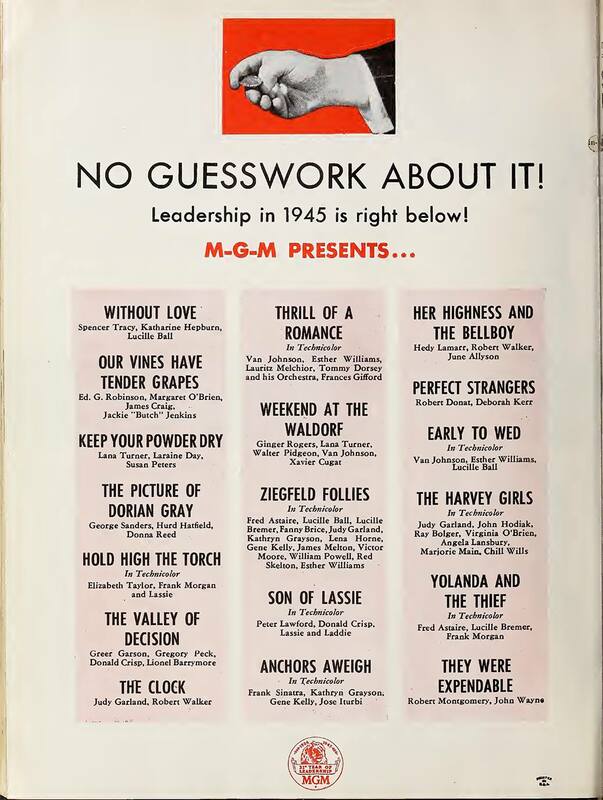 March 29, 1945: This ad appeared in the “Film Daily” trade magazine, promoting both Ziegfeld Follies and The Harvey Girls among other films. 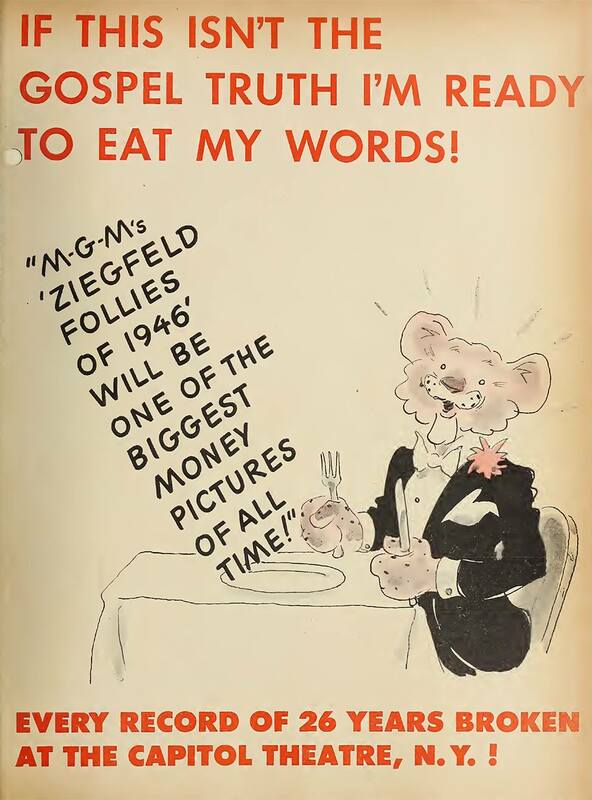 March 29, 1946: This ad appeared in the “Film Daily” trade magazine, promoting Ziegfeld Follies. 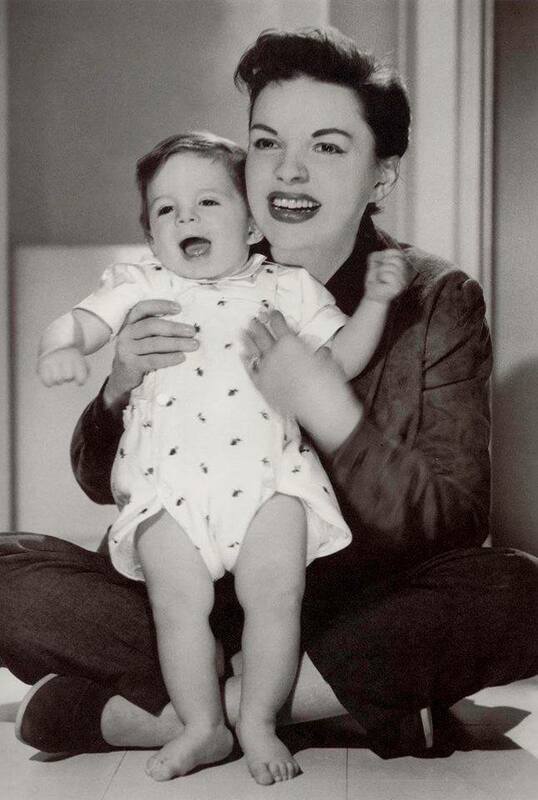 March 29, 1949: “Look” magazine featured an article about Judy’s daughter, Liza Minnelli’s, screen debut in In The Good Old Summertime. 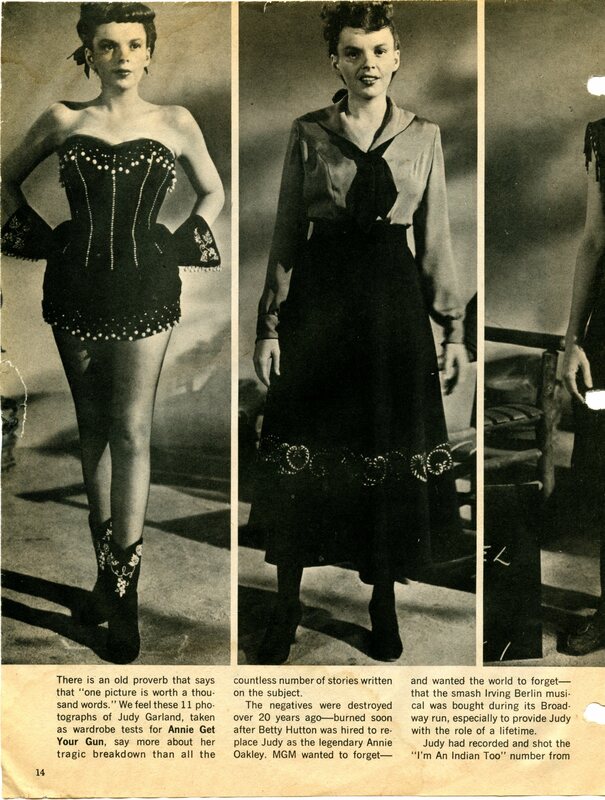 Photos: The first three are from the “Look” article, followed by “Movieland” and “Photoplay” magazine pages (one each) and a variety of photos taken on that day. Thanks to Kim Lundgreen for providing the bulk of the pics! March 29, 1949: A break in the Annie Get Your Gun pre-recording sessions. Judy posed for silent (film) makeup and hairdress tests. Judy was due in the studio at 8:00 a.m.; due on set: 10:00 a.m.; Judy was on time arriving at 10:00 a.m.; dismissed 11:00 a.m. Photos above: Posted before but posting again – the text is interesting – the 1970 “Memory Album” provided by Kim Lundgreen. Thanks, Kim! March 29, 1953: Judy took part in the “1953 All-Star Review” radio show for the 1953 Cancer Crusade for the American Cancer Society. The show also featured Bing Crosby, Bob Hope, the John Scott Trotter Orchestra and the Rhythmaires (the latter two were part of the staff of Bing’s weekly radio show). 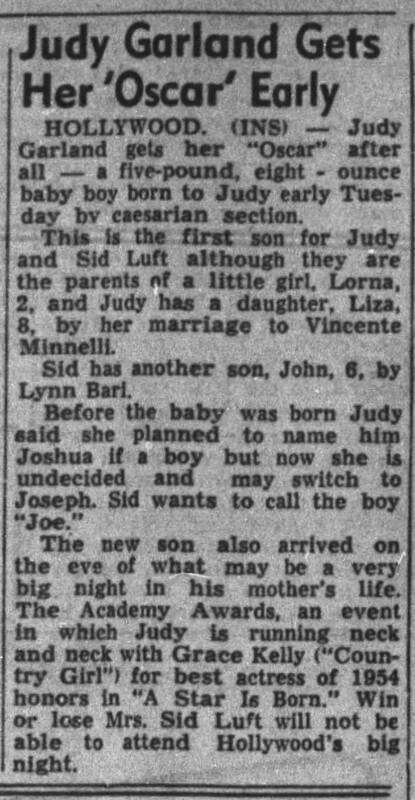 March 29, 1955: At 2:16 a.m. Judy’s third and last child, and only son, Joseph Wiley Luft, was born at Cedars of Lebanon Hospital. He weighed 5 pounds, 8 ounces. 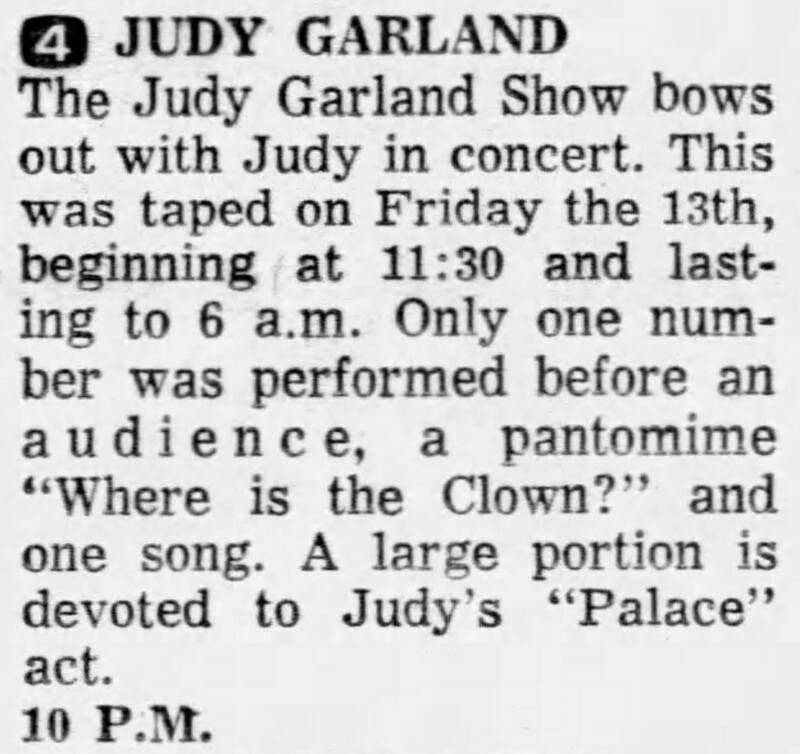 March 29, 1963: Dorothy Kilgallen’s column mainly focused on Judy and her comments about her approach to her singing in concert. March 29, 1964: The final airing of “The Judy Garland Show” (“Episode Twenty-Six”) on the CBS network. This last episode was comprised of the thirty minutes/nine songs from March 13; five songs from “Episode Twenty-Two,” taped February 14 (with Jack Jones); and one song – “By Myself” – that was deleted from “Episode Twenty-Five” due to time constraints; to fill out the hour. 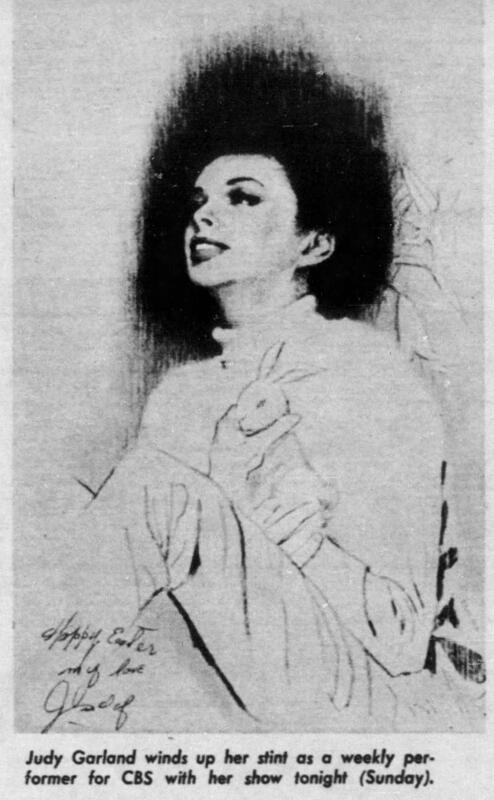 March 29, 1964: Newspaper notices about the airing of the final episode of Judy’s series, “The Judy Garland Show,” including some really nice artwork. Where does the quote ‘crying on stage’ come from? And can we read the whole article? That’s a computer glitch. If you go back and fresh the page you’ll see the 1963 entry which has the article. Thank you for noticing that!